Hot design to cold climates! The wall was painted in the color "tåkedis" from Jotun. A calm background for the selected products from sunny Spain. 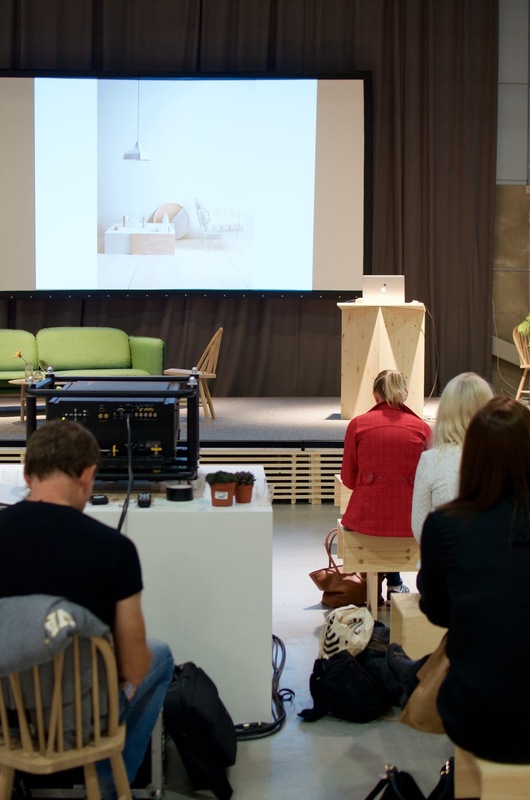 Noes was one of many exhibitors in the public trend & interior fair in Bergen last weekend, and what a reception we got! The goal of the curated exhibition was to introduce a selection of brands and products to the Norwegian audience, and to show that although there might be significant cultural differences, modern Spanish design has a lot of similarities to traditional and modern Scandinavian design culture. Situated right next to the entrance where people lined up to get their weekend passes, Noes had prime location in the renown building central in Bergen city. Almost 10 000 people visited the fair during the three days 16.-18. October and some even spent more than one day there! The different brands represented on the stand blended in and stood out at the same time. Noes is proud to be the official design ambassador of RED for Spanish design in Norway. 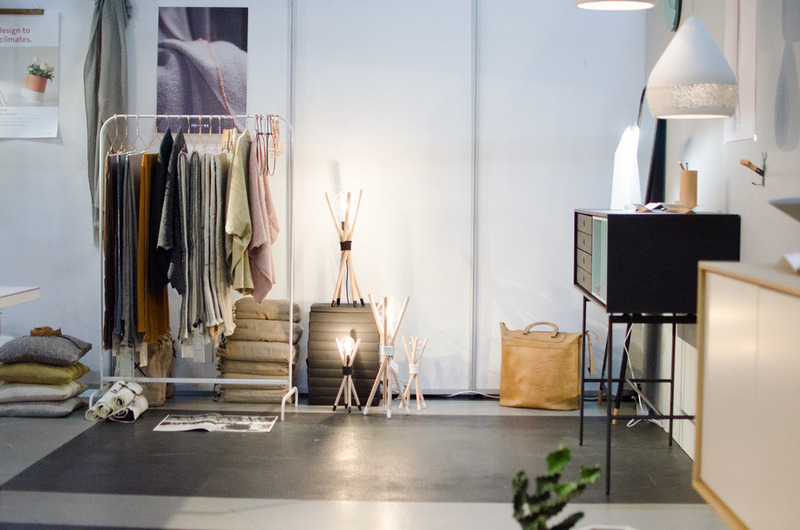 The theme of the fair was "Handmade is the new black", and focused on traditional techniques and natural materials in modern interiors. Attention to details, traditional production methods and modern design combined with high quality materials is a common ground. In the cool, monochrome nordic homes, Spanish modern design can bring warmth in many ways. Textures, warm terracotta tones and slim shapes should have an easy adaptation process in the cold north. Here the seasons dramatically change and the houses are built to let in the light and keep out the cold - somewhat the opposite of the needs of a Spanish home. Still, the similarities are more than you might think. The beautiful handmade ceramic mugs with wooden handles from Matimañana were a big hit on the fair Interiør og Boligmessen. Soft handwoven textiles for the cold Norwegian winter. You need one, at least! All you need is light! The beautiful handmade lamps from Pott drew a lot of attention to the stand. The overall response from both industry and public, was overwhelmingly good. "A fresh look", "sleek, yet cozy", "something completely different from everywhere else" and "refreshing" were some of the feedback we got this weekend. Meeting the buyers in person, along with a well represented industry turned out to be a great way to introduce spanish design to the Norwegian audience. Although Noes does not distribute directly, but is purely working as an agent to represent the different brands, all of Spanish origin, the event still brought some valuable insight to what the market needs. The puzzle pot system MaCeTa by Pott were a hit! It was changed several times a day during the three day fair, just to demonstrate the various constellations you can build with it. We presented hot, modern terracotta from Pott, sleek and sophisticated modular furniture from Treku that made people download the Aura Sketcher and start designing their own. Teixidors' beautiful handwoven plaids and ponchos were a "must touch" area at the stand while the rolling flowerpots Voltasol by Livingthings kept people posting to instagram and Facebook using the hashtag #noesdesign. The twig lamps "Nuus", the birdcage lamp "Pyo" and the cute "Kuuaks" (cement ducks) from Denoe went straight in to some stylish Bergen homes. While people kept touching and dreaming of "Sponge" lamps, "Eiffel" stools and ceramic mugs by Matimañana. The mirrors from Omelette -ed reflected the light and the atmosphere and the limited edition lamp and office objects by Obvious impressed the people on the west coast. Big thanks to the awesome crew behind the fair, and to all the amazing people that stopped by and made the stand come alive with interest for the stories, love for the products and all sorts of questions and enquiries. And not the least, friends and family that made it all possible through hours and hours of helping out! Check out the gallery for more pictures. Hot design to cold climates! Today the Norwegian fair for gifts and interior at Lillestrøm launched their brand new name, and brand new direction. What has been the largest Norwegian trade fair for years, is in the middle of a re-vamping process to take the position as a central ground for new design, as well as continuing to facilitate for brands to meet the buyers and vice versa. The new name; Oslo Design Fair (ODF) is backed by a whole new visual identity and to communicate the craft and trade of design, ODF has engaged in a wide range of collaborations with some of the most renown writers, photographers, designers and stylists in the industry. In comparison to some of the design and furniture fairs of our neighbouring countries, there might be some more work to be done to be competitive for the biggest brands. For now, we salute the visions and the ways to get there, and look forward to seeing the next developments in the process. In the future we dream of ODF to be a meeting ground that also includes some of the international brands, side by side with young designers and Norwegian craftsmen. The trend zone exhibitions are especially curated to convey the new Nordic tendencies and apart from the "Norwegian Presence" -exhibition originally made for the '15 Milan Fair, a wide range of new and old designs were shown in displays beautifully composed by the renown design duo Kråkvik & d'Orazio. Their forecast for new nordic spaces includes lots of natural elements, handmade and imperfect products that show traces of a human touch. What is special about the north is the light - a lot of it in summer, and not enough in winter. -That's why we seek light through lighting and elements like mirrors and glass to reflect and make the most of the light that we have, Kråkvik says. 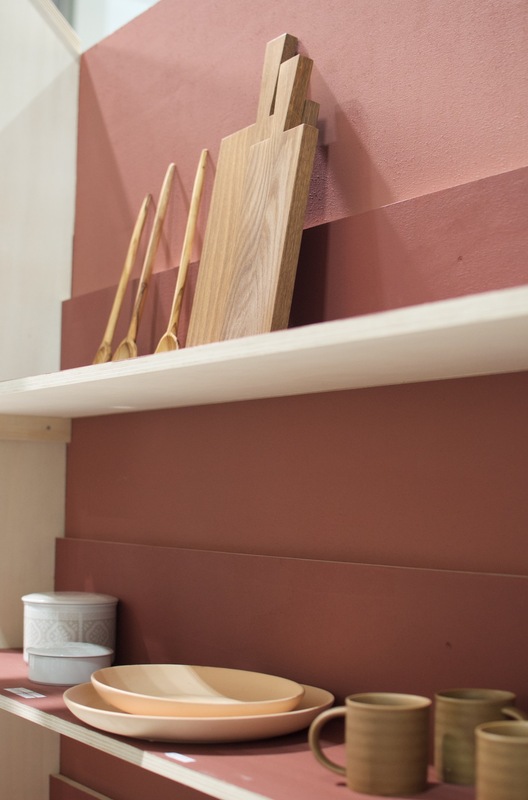 Color wise, succulent greens reflect our love of nature and sober blues are brought out to balance the warmer tones of terracotta, ocre and cognac. In other words, the cool Nordic blue and the warm Spanish terracotta is right up there in the future too!